Abstract - This paper abstracts the object-oriented class in the form object structures, object methods and their inter-relationships. This is achieved through the bridging of two different paradigms of procedure-oriented and of data-oriented methods, and then blending this bridged abstraction to the object-oriented paradigm. Here, the paper abstracted all the good features of the three paradigms with application of good database design principles. Adegboye O.J., Onifade O.F.W. and Iwayemi A.
Abstract - Face recognition is a well-studied problem in which several approaches have been proposed to address the challenges of illumination, pose, expression, aging and disguise. Since these procedures modify both the shape and texture of facial features to varying degrees, it is difficult to find the correlation between pre and post-surgery facial geometry. Therefore, this work seeks to utilize image granularity yielded by multi objective evolutionary granular computing to provide resilience to variations such that local facial fragments can be used to match pre and post- surgery face images by designing and implementing an algorithm that recognizes face invariant to deformation. This research was able to use a multi-objective evolutionary granular computing based algorithm for recognizing faces altered due to deformation or reconstruction. It was done based on feature detection, face image granulation, feature descriptor extraction, and weighted chi square matching using genetic algorithm optimization. Principal Component Analysis (PCA) showed efficiency in speed while the newly developed system classified better in terms of accuracy, usage and cost. This system was able to recognize and identify faces among various dataset while achieving near good performance. It shows better performance in matching surgically altered face images against large scale gallery. With granulated information more flexibility is achieved in analyzing assimilated information from face images. Having fully explored and implemented this new system using the genetic algorithm optimization for matching the features extracted from both pre and post images, the developed system was compared with an existing system such as Principal Component Analysis (PCA) and it out-performed it in terms of cost effectiveness, accuracy and simplicity of usage. Abstract - Nowadays, the so-called Agile-methodologies, especially such as Scrum and Kanban are becoming increasingly popular. Scrum and Kanban software development technologies represent agile methodologies and are often used as synonyms. In fact, there are some significant differences between two of these two agile methodologies. Understanding these differences is a key to choosing the way that works best for your environment. Abstract - Cognitive radio is a radio system that leverages the services of other radio systems by using various algorithms and interoperability inform of gateway which has the capabilities of observed, learned and senses a frequency from its present’s environment to adjust and be re-configurable to makes decisions. The cognitive radio idea was proposed by one single researcher at royal institute of technology known as Joseph Mitola as novel approached in wireless communications at the same time the first phone call over cognitive radio network was made in center of wireless communications at university of Oulu Finland. Cognitive radio was designed to supported Ad Hoc Mobile Networks which has been a technological advanced exclusively by researchers in Centre of Wireless Communications (CWC`s), and. 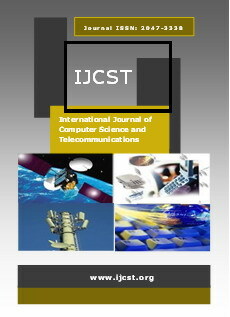 In this paper, the researcher highlighted the significant rules and policies of standardizations and regulations of IEEE and ITU amendment policies for internet wireless communication methodologies in dynamic frequency selections and subsequences to adaption’s of cognitive radio cycle sensing through Media Access Control (MAC) sub layer approached. Furthermore discussed and examining a waveform spire sensing and radio identification techniques for better utilization of spectrum management with the three basic spectrums sensing levels matche filter, energy detector and cyclostationary feature detector associated with others two keys strategies of radio spectrums access a cross layer performance optimized and geolocation database functionality with sensor open systems interconnectivity and the holistic approached of cognitive radio cycle functionality within its environments with supports of proper techniques of physical layer architectures implementations of open systems Interconnections Model globally. Abstract - Cooperative Spectrum Sensing (CSS) has been developed to improve the detection performance of licensed Primary Users (PUs) in Cognitive Radio (CR) networks. The current study, introduces a novel weighted soft-decision combining scheme. The method is based on the estimation of instantaneous Signal-to-Noise Ratios (SNRs) of all CR users. An optimum threshold to minimize the total error probability is also provided. The proposed method is investigated through closed form expressions of total error probability. The numerical results are presented to verify the performance improvement of the proposed method compared with the conventional Equal Gain Combining (EGC) scheme. Abstract - Multimedia is gaining popularity among technology incubation centers by knowledge transfer and enhancement of the quality of business communication. Technology incubation center is a place where entrepreneurs are given space for incubation. While the technology incubation centers provides opportunities to entrepreneurs with technology-based ideas and expertise to reside throughout the incubation period, lack of information, inadequate provision of networking medium among entrepreneur and exposure to the outside world are the foremost challenges that outweigh the colossal success factors of the set objectives of incubation. This paper present application area, different interactive systems of multimedia applications for educating and training entrepreneurs by instructors at technology incubation centers through multimedia technologies and tools. Such technologies are videos, online interaction, images, audios and wireless telecommunication technologies such as smartphones. This paper enhanced the use of multimedia in passing educative information to entrepreneurs to enable them grow their companies.